Big brands may have name recognition on their side when it comes to marketing, but the drive for more customers never stops. In February 2012, Tide debuted its single use detergent pods with a colorful commercial aired during the Academy Awards. Tide touted the convenience and cleanliness of the pods, which come in brightly colored pouches of Tide’s well known orange and blue that reiterate the promise of colorfast clothes. Other companies followed suit, anticipating the high demand for the little packs. The bright packaging that attracts consumers also attracts another segment of the population: toddlers. According to NY Daily News, through May, 2012 poison control centers received 200 reports of children poisoned from ingesting the colorful little pods, which can appear to children like candy or a teething toy. In June, that number rapidly grew to 1,210. The pods are potentially more dangerous than other types of detergent because they are highly concentrated. In response to concerns, Tide added a double latch to the container to make it more childproof. Consumer Reports noted that calls to poison control have continued and recently five trips to the emergency room of European toddlers, where the pods have been available for much longer, renewed calls for safer packaging. In 18 months, five children were admitted to the same hospital in Glasgow, Scotland with blocked airways and intestinal swelling and ulceration. One of the children had to undergo intestinal surgery. On September 9, 2012, Sen. Charles Schumer urged other companies to adopt childproof containers and called for further investigation into the dangers of the laundry pods. Meanwhile the Consumer Product Safety Commission is investigating the poisoning risk of the laundry packs, but has not reached a conclusion at this time. Dishwashing detergent has also taken on the form of pods and pose a concern as well, especially because it may be convenient to store dishwasher detergent under the sink. Consumers with children or pets should always store any type of chemicals well out of reach. 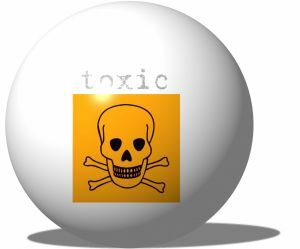 According to the Center for Disease Control (CDC), accidental poisoning is one of the top ten causes of fatal injuries in children less than one and between the ages of five and nine, as well as a top ten cause for non fatal injuries treated in emergency rooms in children between the ages of one and four. The CDC suggests that parents save the number for the nationwide poison control center in their phones, in case their child is one of the 300 children in the United States that visit the emergency room each day for poisoning. The number is (800) 222-1222. Gregory Brod is an experienced personal injury lawyer who represents clients around the San Francisco Bay Area and its surrounding regions. Please today contact the Brod Law Firm for a free consultation.